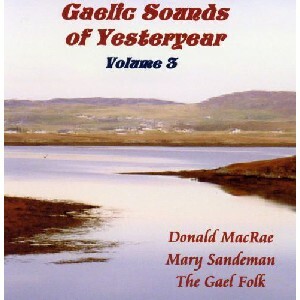 Gaelic Sounds of Yesteryear - Volume 3, The Scottish Music Shop - The Best Selection of Scottish CDs and Scottish DVDs. Donald MacRae, Mary Sandeman, and The Gael Folk. The songs and singers featured here stir, for many of us, feelings of nostalgia. Recorded when these artistes were in their prime they demonstrate some of the diversity of Gaelic singing.